Hair care is paramount. So, there is no quick or fast way to get your hair thick, it takes time for the hair to grow thick, so you need to follow a realistic approach. There are two concerns with regard to the thickness of the air which is thickness all over your hair or the volume of the hair or thickness at some parts of the hair, let’s say area at the top of your crown or near to ear-lines or near the eyebrows, etc. 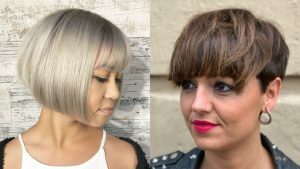 If you want to answer the most important question as to How to Get Thick Hair, there are some useful tips that the hair experts have suggested that you need to understand what does the hair needs. Thinning of hair might be due to the result of less hydration in the hair. Experts say that a good diet full of vitamins is something strands need. Little changes you can do are adding little supplements to your breakfast and focusing on some specific ingredients might foster the growth. It’s not always shampoo and soaps; it could be genetic and aging problems. Below here are some of the great points in brief to know about this topic. The researchers have revealed that the hair loss is may be due to the consequence of string-making stem cells that are getting broken with time. Unlike the stem cells present in the intestines or other parts of the body, the ones in the hair roots have cyclical dormant and productive stages. This, in turn, means that the DNA plays a role in the thinning of the hair loss. Sometimes the thinning of the hair could be hereditary. The sign of the same again appears as early from 5 years to 7 years and completely be found at the age of 25 years to 27 years. More studies into this are still in process to find a good solution to mitigate thinning of hair. Everything degrades naturally, and with the passage of time, not only the body but also hair is not spared by the aging process. The amount of hair loss is subject to the genetics, but almost all the person will experience the loss of hair due to aging. There are three phases continuously throughout your life – Growth stage, the transition phase, and the resting phase. Hair grows during the growth phase; however, it starts to fall out during the shorter transition phase, and the fall become permanent during the resting phase. The hair fall is more during the resting phase than the growth. In comparison to the men, studies show that the women experience more hair loss. Initially, the signs appear only in the temples, but the hair loss may spread to the other parts of the scalp. Like the body, hair needs nutrition too. Common causes of thinning of hair are due to an unbalanced and unhealthy diet as it causes deficiency and the body will send nutrients to vital organs first and to the hair last. Nutritional insufficiency coupled with lack of protein and lack of essential fatty acids in case of women can be the prime cause of thinning down the hair. Generally, deficiency in omega-3 and omega-6 fatty acids for a continuous period of 4 months can trigger the hair loss. People have inadequate iron intakes, especially in case of women having heavy menstrual periods, suffers hair loss. So, a slight change in the diet is necessary that contains a balance of proteins, complex carbohydrates, iron, vitamins, and minerals. Hair is very important, and for many women, they add it to her beauty; shiny hair is very important to them, and it gives them self-confident. Regular usage of styling appliances such as curling tongs, hair dryers, and hair straighteners are also damaging as the tremendous heat can damage the hair shafts making it dry then hair thinness is more likely than not. The optimum temperature for initiate the hairstyle is 180 degrees that don’t damage the hair shaft, but the temperatures of such tools can reach up to the temperature in excess of 400 degrees. Repeated waxing of hair can lead to miniaturization and scarring of the hair follicle, which can lead to finer hair. Most hair dyes contain lead and lead adversely affects the nervous system that leads to scalp degradation which can further lead to loss of hair. Even bleach is damaging as it reduces the moisture content in the hair that makes it dry and thins it down and continuous use of bleach can damage the hair roots. Gels and hairsprays having high chemical and alcoholic content should be avoided. Use of such products should be washed out after twenty-four hours otherwise they cluster around the scalp. This in turns causes hair follicle miniaturization which can cause itchiness, inflamed and scaly scalp that further leads to thinning of hair. Dry shampoo, that mostly up of talc cornstarch, alcohol, and clay, which soak up oil and grease can add to losing some strands. There are numerous health issues that can be a cause of your hair loss. The hormonal imbalance and scalp infection can be reasons if your massive hair falls. The prolonged imbalance of the male or female hormones, known as androgens and estrogens can cause hair loss. Fungal infections of the scalp can cause hair loss too. Diseases like lupus, which affects women more than men, or diabetes that are common these days and are one of many unfortunate symptoms contributing these days. There are some factors that you need to follow to stop the hair fall in a natural way. These good habits and changes in your daily life can help you to get thick hair volume. Thin hair is a nightmare but here what you can eat to reduce the problem. You should maintain a proper diet to thicken your hair. The mineral-rich foods can help you to get more hair in a natural way. The green leafy vegetables and spinach can help you to get the good result in making your hair volume thick. These vegetables have a good amount of iron which is essential to supply the proper amount of oxygen to the scalp. You need to take the proper amount of water as well. The water intake can help you to get hydrated and moisturized scalp. Moreover, you need to drink sufficient amount of fruit juice which has minerals and vitamins. The fishes can also help you to get thick hair as these contain a good amount of omega-3 fatty acid which is best for making new hair. Over stress can be a reason behind your hair fall. So, you need to stay calm and relaxed to keep your hair better growing and make the hair volume thick. You should sleep at least 7 to 8 hours in every 24 hours. You should keep in mind that good sleep can help you to get more hair on your scalp. You should practice the meditation which can relax your nerves and continue a proper blood circulation in your blood vessels. You can style your hair in different ways. But every style may not look good for your hair. You should not use artificial and chemical based hair products on a regular basis. These can make your hair thin and rough at the same time. You should comb your hair well on a regular basis and don’t pull the hair from the roots to style. You should go for the loose hairstyle to keep the hair roots fine and undamaged. The proper style of the hair can help you to keep your hair thick and well managed at the same time. You should not use the heating kits on your hair as well. This can make your hair dehydrated and leave rough. As a result, you may get a massive hair fall. The Scalp infections are common these days, not only adults but also the children are suffering from this. Keep scalp clean by keeping the dirt and excess oil away as excess buildup can cause a blockage on the scalp which could lead to pimples on scalp. In case of excess sebum, dandruff happens, leading to an excessively oily scalp that further attracts dirt. Hair maintenance therapies regulate the sebum production, thus preventing dandruff from occurring. Prevention is always better than cure so consult the therapist for the same. You need to take care of the hair from the inner organs, and in this case, you need to supply an adequate number of vitamins and minerals to your body. The vitamins like vitamin D, A and K play an important role in keeping the health of the scalp and the hair follicles well. A good supply of the vitamin D can keep the scalp well and strengthen the roots of the hair as well. An adequate amount of vitamin A and K play an important role in keeping your hair thick and strong at the same time. If you look into the minerals, you will see their great contributions to the hair thickening. The minerals like iron and zinc keep the scalp and the hair follicles healthy. Here are home remedies that can help you to get thick hair volume in a natural way. These remedies are easy to follow and safe to use. The natural ingredients can keep your hair away from the side effects of the chemicals. These remedies play an important role in keeping your hair well maintained and thick in volume. Coconut oil contains antioxidants, and it penetrates hair more deeply and faster than other hair conditioners that strengthen hair and gives it a natural sheen. The longer the coconut oil is left on the hair, the more effective it will be. Steps to do are first to clean and wash the hair. Then slightly warm the oil and gently apply the oil to scalp and the hair roots. Then softly massage in small, circular motion. Use Shampoo to remove the oil. Washing is important otherwise it will make the hair appear greasy and attract dust and dirt as well. Castor oil is one of the most effective remedies that contain a good amount of vitamin E, 6 fatty acids, omega-9, and proteins. It can help you to get rid of the dry scalp and dandruff. It can be a cause of your itchy scalp, and this problem can be solved by applying castor oil on your scalp. It also works well in case of reducing the scalp infections. Firstly, you need to mix equal amount of castor oil and almond oil along with clary sage and that too only 2 drops of it and then apply to your scalp. It is preferred to keep the mixture on your scalp for the whole night and wash on the next morning, or you can wash it away using a mild shampoo within an hour. It could be repeated every alternative day to see the good result. Aloe Vera is one of the most effective ingredients that can help you to get a thick and well-nourished hair at home. You need to use the pulp of the leaves of the aloe Vera on your scalp to maintain the pH level of your hair. You need to bring out the pulp of aloe Vera and apply on your scalp and hair strands. You need to use your fingertips and massage the scalp with the pulp to get a good result in thickening your hair. Then leave the pulps on the hair for 15 minutes and then wash the pack from your hair by using normal water to get the best result. Olive oil is rich in moisturizing properties which can be used as your regular conditioner. You need to mix the Olive oil with lemon juice that can help in treating dandruff problem. Take equal amounts of olive oil, water, and lemon juice and mix well. then use your fingertips to massage your damp scalp well. Then leave the mixture on your hair for 20 minutes, then, rinse well and use shampoo to wash again. Use this flake-fighting treatment no more than every other week. It can replace the regular conditioner that is generally made up of harmful chemicals. Furthermore, it can remove the build-up of sebum that leads to the formation of new hair follicles and hinders thickening of hair. The juices listed below if taken on a regular basis helps in overcoming the problem of thinning of hair. It contains rich amount of various minerals, vitamins, iron, etc. That is essential for the benefits of hair. The thickness of mane can be increased, and the itchiness of the surface of the scalp can be avoided; further, it can restore shine as it contains vitamin B. It helps in restoring the quality of the hair and supplies nourishment to the follicles. The residue when applied increases the flow of blood towards the scalp. This provides a luster to the hair and makes the hair smooth. Carrots are highly enriched with beta-carotene which provides luster and great color to the hair. The follicles of the hair tend to strengthen, and it restores the quality of hair. Vitamin C helps in providing nourishment towards the scalp. The apple cider vinegar which contains acetic acid can remove the chemical product build-up from the scalp and the hair strands. Apple cider vinegar has natural anti-fungal properties to combat and mitigate dandruff. Plus, it can restore the protective acid mantle layer of the scalp to restrict further fungal growth. The onion juice when directly applied on the scalp enhances the growth of mane as it is highly concentrated with Sulphur that provides proper nourishment and flows to the follicles. The contaminations and harmful parasites are destroyed through the application of this juice. They are naturally potent antioxidants. They can be used to fight dandruff owing to their rich anti-bacterial properties. It thickens the hair as they improve blood circulation. Eggs contain lots of nutrients in the form of vitamins that strengthen the roots of the hair, thereby reducing hair loss. The nutrients also add volume to the hair and thickening it. Around 70 percent of the hair is made up of protein, so damaged keratin gaps in the hair are filled up by the protein content in eggs. The white part around the yolk is a good source of protein which contains minerals in good quantity. Minerals let’s say for example magnesium, potassium, and sodium that reduces the oil content in the hair which further avoids attraction of dirt and dust. This is the center yellowish content also known as the yolk is rich in protein but is less than the white and is an abundant source of complex vitamins and acid. It is food for the strands of the hair. The white or the whole part is more nutritious and very much suited for the women. Avocados are a fruit that acts as a moisturizer for dry or damaged hair. Avocados are high in vitamins B and E that is essential to prevent hair loss and repair damage to the scalp. Healthy hair grows half an inch every month. Avocado conditions the hair as it contains high-fat content of avocados. First, wash hair with shampoo so that any dirt or dust on the strand is removed. Then make avocado conditioner by mashing avocados into a paste and adding enough water to make a paste-like solution. Apply the avocado conditioner over the strands of the hair thoroughly and then leave it for five to 10 minutes before rinsing with warm water. One can make a different combination of the avocado conditioner; each combination has its own benefits. With coconut oil it forms a protective layer around the hair shaft, minimizing moisture loss and reducing damage. The coconut oil with honey and avocado when mixed together helps to condition the hair. Yogurt, when mixed with avocado, helps to repair, condition dry and damaged hair that further adds to the thickness of the hair. The mixture of honey and olive oil work well to seal in the moisture of your hair follicles. You can use it with the yogurt and avocado in this mixture to get a better result in thickening your hair. Mayonnaise, when mixed with eggs and vinegar with the avocado, helps to deeply condition hair, giving smooth, soft and lustrous locks, in other words, it makes the hair look healthy. Olive oil, honey, and avocado are humectants which help seal water into the hair shaft, curbing moisture loss. This is perfect for hair care when it comes to dealing with dryness and damage. Hair is the inherent part of the body that makes one beautiful, so we love our hair very much. The thinning of the hair can make you lose you are self-confident. How to Get Thick Hair is always on our mind when we see someone having thicker and shiny hair than us. These are the simple tips, and that can bring changes in your daily life naturally. These tips are given by the experienced specialists who know your desire about the hair. You should always keep in mind that the hair should be kept well to stay healthy and beautiful and there is no magic potion to make it thicker, it might take time and little effort.